Situational awareness: "China talks are going very well!" President Trump tweets Friday morning. Meng Wanzhou, CFO of Chinese telecom giant Huawei (and the daughter of the company's founder) who was arrested earlier this week in Canada, faces a series of fraud charges that could set the stage for her extradition to the U.S., a Canadian prosecutor revealed today. 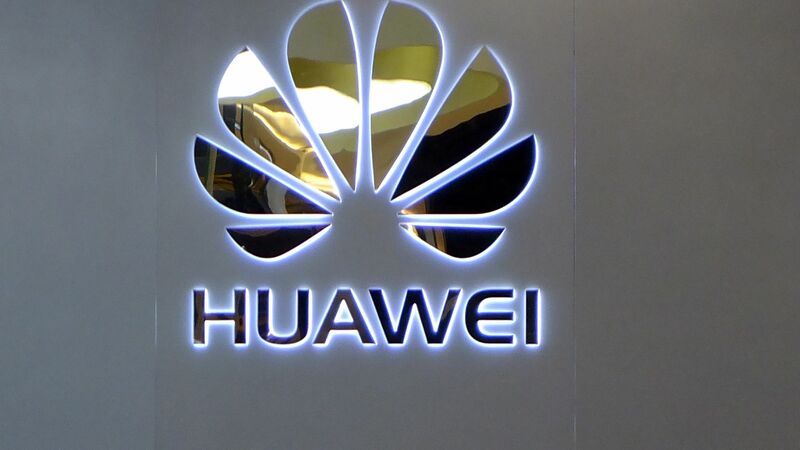 Why it matters: Meng's arrest and possible extradition has become a flash point in trade tensions between the U.S. and Canada, as Huawei is one of China's most highly-valued technology companies, Axios' Dan Primack reports. Details: Meng is charged with allegedly deceiving banks about the relationship between Huawei and Hong Kong-based Skycom, with the case appearing to center on sales of U.S.-manufactured technology to Iran by Skycom, per the Washington Post. The U.S. has requested Canada extradite her to the U.S. but the Canadian legal process could take months or longer to determine whether or not she is brought to America. The arrest will probably not derail the U.S.-China trade talks. China needs the talks to succeed, and while they may become more contentious, both sides are saying they remain on track. That could change if there are additional U.S. moves against Huawei, especially if they come from the executive branch. Not that Chinese President Xi Jinping needs another reminder of the existential threat that U.S. technological dominance poses, but this case will be used as another rallying point in the increasing efforts to reduce reliance on the U.S., and is another move in the spiraling U.S.-China technology competition. While this case appears to be about Iran sanctions specifically, it certainly fits within the broader campaign by the U.S. to block Huawei from 5G networks outside of China, especially in the Five Eyes alliance countries (U.S., Canada, U.K., New Zealand, Australia). In the last few weeks, the remaining four started blocking Huawei from 5G networks. Whether or not this detention is part of a broader U.S. strategy, I don't know. But expect Xi to see it as part of a broader U.S. conspiracy. American and foreign tech firms that have a supply chain reliance on China should be deep into planning for reducing that reliance, no matter how hard, painful and expensive such a shift would be. Frankly, boards of directors of those firms are negligent at this point if they are not pushing for this. Cisco is concerned about the threat of retaliation and so, according to Channel News Asia, has reportedly restricted all non-essential travel by U.S.-based Cisco employees into China due to recent events surrounding Meng's arrest. The big picture: There has been speculation that China may retaliate by arresting a U.S. tech executive. That would certainly be explosive, but I am not sure Beijing would do that without a very clear legal case, as it would undermine the massive propaganda campaign the party has undertaken to portray the PRC as open for foreign business and as the defender of the global trading system. National Security Adviser John Bolton in an NPR News interview. December will be a busy month for Xi and the PRC leadership. What's happening: The annual Central Economic Work Conference, which sets the agenda for the next year's economic policies, is likely to convene next week. But the big event will be a major meeting to celebrate the 40th anniversary of the "Reform & Opening" policy that started at the 3rd Plenum of the 11th Party Congress on Dec. 18–22, 1978. I believe that meeting may be on the exact 40th anniversary of that famous 3rd Plenum and will see a big speech by Xi and a noteworthy propaganda and theoretical blitz. Has pressure from the Trump administration combined with domestic pressures to not be the PRC leader who oversees a complete break in U.S.-China relations moved Xi to a place where he both needs to start delivering on reform and also sees an opportunity to use them for political benefit? I am not talking about a reversal of the growing trend of ideological control and repression, or political reform, but rather a much more significant effort to deliver on some of the long unfulfilled promises of economic reform. Any shift to deeper economic reforms will not address the growing contradiction of the central state-owned enterprises, the encroachment of the party back into all aspects of life, nor would it lessen the focus on technological self-reliance. But even a return to a messy and imperfect implementation of deeper reforms might still unleash a lot of economic activity, innovation, and value creation. Another question: The U.S. and China established diplomatic relations on January 1, 1979. How will that 40th anniversary be commemorated given the increasingly tense relationship? Editors’s note: This piece was corrected to show that the U.S. and China established diplomatic relations on Jan. 1, 1979 (not on Jan. 1, 1949). One of the key aspects of the PRC's efforts to maintain social stability is grid management (wanggehua guanli 网格化管理). The grid management system long predates Xis rule but has become much more prevalent and effective during his rule. What is “grid management”? In the simplest sense, it is the digitising (数字化) and informationalising (信息化) of city management at the neighbourhood and community levels. The “gridding” (网格化) of the communal space of the city requires unified city management and digital platforms, and involves the clear gridding of the city management zone into units within a comprehensive network. By strengthening the act of patrolling — including the mobilisation of community groups like those mentioned in our article on celebrity Chen Yufan — the government is able to proactively identify and handle any problems that might emerge. The term “grid management” is a neologism in China, but it is something that could also be found in ancient times. The so-called “Baojia system” (保甲制) developed in China during the Song dynasty in the 11th century. Chinese society was divided under this system into jia (甲) consisting of 10 families, and 10 jia combined to form a single bao (保). Each jia had a leader, and its bao had a leader. This was essentially a militarisation of society in which control was exercised at every level. The method was employed again in the 1930s, this time by the Kuomintang party as it encircled the base of the Chinese Communist Party in Jiangxi. The strategy was to tighten the noose around the neck of the Red Army, eliminating the threat they posed. Why it matters: No Chinese ruler has ever had the technological capabilities the party now enjoys. Marrying the massive and rapidly improving surveillance and big data capacities with the grid management approach to social management significantly improves the party's ability to maintain control. From Steve Levine's excellent Axios Future newsletter. Subscribe to it here. China is planning to launch today a spacecraft with the aim of making the first-ever landing on the dark side of the Moon. The Chang’e-4 is scheduled to launch at 2:30pm ET, reports Marcia Smith of SpacePolicyOnline, although there is no word when it's meant to land on the Moon. The distance is 240,000 miles and about 3 days. The Commerce Department recently proposed export controls that could bring China’s ambitious autonomous vehicle push to a screeching halt, Patrick Lozada, China practice director at Albright Stonebridge, writes for Axios Expert Voices. While everyone from Google employees to regulators debate whether Google should relaunch its censored Chinese search engine, the company is continuing to grow its advertising business in China with substantial help from local Chinese governments and Communist Party officials. The officials shower the centers with incentives like free rent, according to government statements and people familiar with the deals, and promote them through elaborate ribbon-cutting ceremonies. The centers help Google build political goodwill by aligning with China’s economic goals to boost exports from small businesses. Facebook is even bigger. The social network could generate between $5 billion and $7 billion from China this year, estimates Brian Wieser, a senior analyst at Pivotal Research Group. Axios' Erica Pandey writes ... With the flourish of a significant concession, China said today that it will punish companies and individuals who steal intellectual property, a primary U.S. complaint. But China hands are skeptical. The backdrop: Over the years, China has routinely batted away allegations of government-backed IP theft as hearsay, even when among the things stolen were plans for the F-35 fighter jet and a supersonic U.S. undersea missile. In 2015, Xi — without admitting anything — pledged to halt cyber theft of IP, and the pilfering dropped dramatically. SCMP — Portugal’s support for China’s Belt and Road plan sets alarm bells ringing in Brussels. Ministry of Foreign Affairs — Foreign Minister Wang Yi talks about Xi's visits to Spain, Portugal and other countries, as well as the 13th G20 Summit. New York Times — A China hawk gains prominence as Trump confronts Xi on trade. New Zealand Herald — International China-watchers express alarm over Brady affair. The Guardian — Inside China's audacious global propaganda campaign. What's on Weibo — "I'm So Qiou," the new Chinese character of the year, is "dirt-poor & ugly." The Washington Post — VOA fires journalist over interview with Chinese exile. Wall Street Journal — Boeing backs out of global IP satellite order financed by China. Andreessen Horowitz — When AI is the product: the rise of AI-based consumer apps. Asia Society — U.S.–China Relations in 2019: an address by Kevin Rudd. Variety — Cinedigm and CITVC to bring 500 hours of China content to U.S. streaming. Sinocism's highlights of China excerpts from the book, "Insane Mode: How Elon Musk’s Tesla Sparked an Electric Revolution to End the Age of Oil."